Police investigating the tragic death of Luke Jobson are warning social media users to think before they post. Five people have been arrested on suspicion of manslaughter as a body found has been confirmed as that of missing Luke. Police officers are continuing to support the 22-year-old's family after his body found in a river yesterday after he went missing in Yarm at the weekend. Now officers are warning social media users to be careful with what they post on social media now arrests have been made. 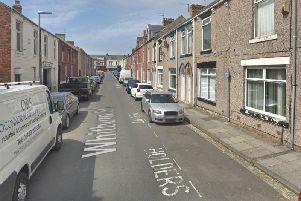 A spokesperson for Cleveland Police said: "We appreciate that emotions are running high and that people want to show their support for Luke’s family and friends, but we would warn social media users that now that arrests have been made, speculating and commenting online about what might have happened - or the actions of specific individuals - could seriously jeopardise any potential court case. "Thank you for your understanding and co-operation." A major operation to find Luke was launched in Yarm, Teesside, after he disappeared in the early hours of Saturday. A body was found in the river in the town yesterday and it has now been confirmed as that of Luke.